A doctor who issued medical certificates to a man to justify his non-appearance to sign the bail book has been ordered by a magistrate to appear in court to give an explanation under oath. Magistrate Joseph Mifsud ordered the prosecution to summon the doctor and said the court would order an investigation by the police commissioner and inform the Medical Council should a suitable explanation not be forthcoming. The doctor had signed some 27 medical certificates for wanted man Charlot Gauci, 49, of Gżira. 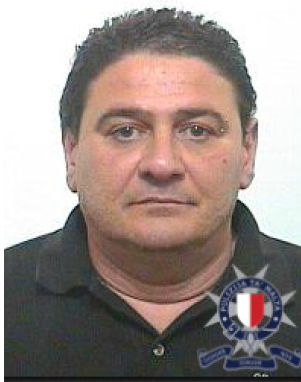 Mr Gauci, who has been on the wanted list for two years, was arrested on Sunday after he was tracked in Fgura. He was escorted to court on Monday morning to face justice and entered the court room in T-shirt and shorts, handcuffed and asking for a glass of water. “Tardare si, scappare no,” (you can run, but you can't hide) said magistrate Mifsud as he revoked the bail decree granted by a different court in July 2013 and ordered the confiscation of the €500 deposit and €10,000 personal guarantee. “Thank you Maltese people for cooperating with justice and answering the appeal by the authorities,” enabling the police to track down the wanted man who had failed to turn up in court 24 times, the magistrate said. The court remanded Mr Gauci in custody while criminal proceedings, held in abeyance for the past two years, resumed. The man is facing prosecution over a case of alleged fraud involving some €16,000. The case continues later this month.